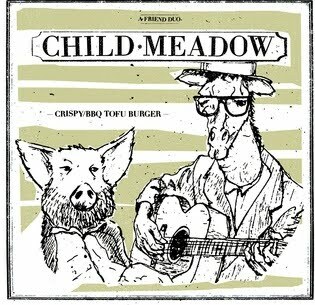 I was introduced to Child Meadow late last year when they became a member of the Protagonist Records roster. I always make it a point to see what that label is releasing. As a musician that has played in bands with no bass player I'm always on the lookout to see how other bands are pulling off the guitar/drums combination. Child Meadow is a two piece consisting of drums and guitar who aim to give you something fast and melodic. This record will have you recalling bands like Rites of Spring, Torches to Rome and Bullets In. There's qualities to it that I feel everyone can appreciate. It has a very loud and aggressive feel to it, but the melodies are very catchy and get stuck in your head. These guys are no slouch when it comes to putting it all together. Their musicianship is excellent I would be interested to see them play live just to see how it translates.